There are two signs you’re pretty much guaranteed to notice on road trips: speed limit signs and Cracker Barrel signs. There are two signs you’re pretty much guaranteed to notice on road trips: speed limit signs and Cracker Barrel signs. But some food fans might be paying more attention to the latter. 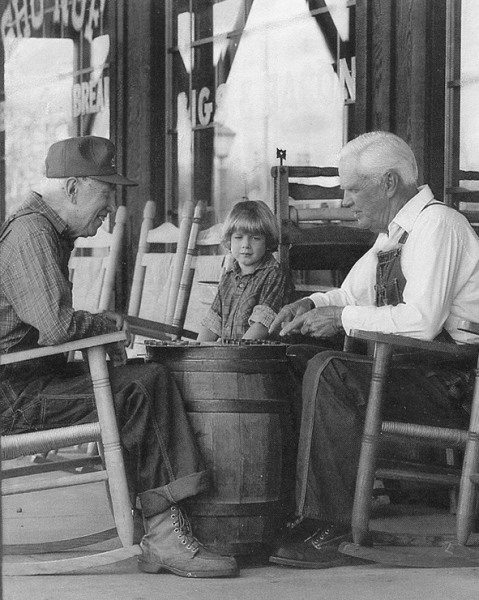 Since 1969, Cracker Barrel Old Country Store has been an interstate institution. It’s famous for all-you-can-eat biscuits, tabletop peg games and general stores selling everything from throwback toys to vintage candy you haven’t seen in decades. Even if you’ve been eating there for 40 years, you probably don&apos;t know all there is to know about Cracker Barrel. 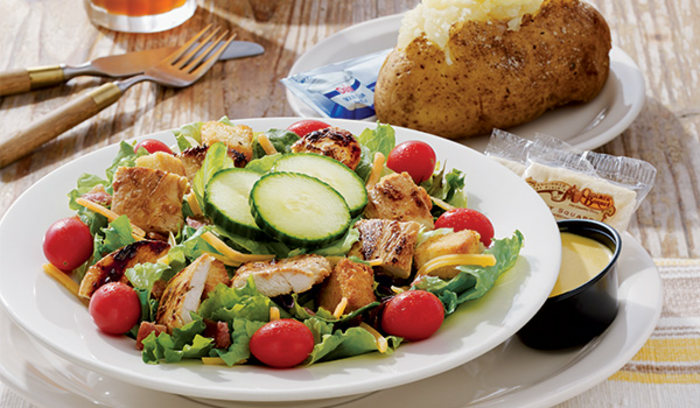 Go beyond the familiar front porch and feast on these surprising facts about the comfort food chain. 1. Cracker Barrel is literally named for cracker barrels. All 650 stores in 45 states have actual cracker barrels inside, and most are topped with checkerboards so diners can play while waiting to be seated. According to company history, Cracker Barrel’s founder, Dan Evins, wanted to create a place where people didn&apos;t just eat — they socialized. So he modeled his restaurant after classic country stores that had big wooden barrels filled with crackers where people would gather and catch up — much like a modern-day water cooler. 2. 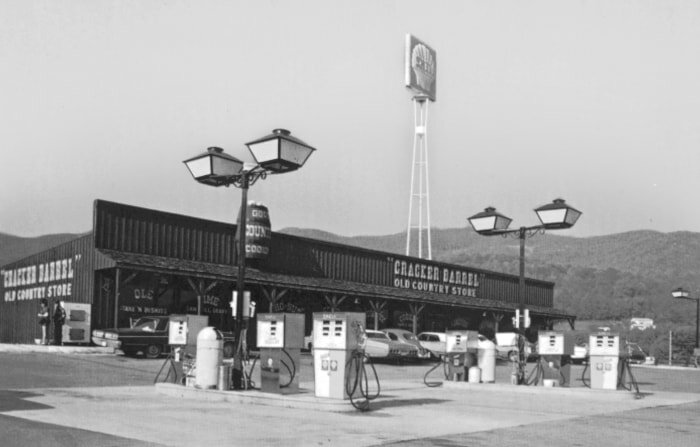 Cracker Barrel started as a gas station/restaurant/country store combo. Traveling around the country as a salesman for Shell Oil, Evins noticed there weren’t enough dining options along the expanding interstate. He designed a one-stop shop where travelers could get gas, food and supplies. Today, customers don&apos;t pay at the table (a tradition that&apos;s been around since the restaurant started). Instead, they pay for meals in the gift shop, which ensures diners have another chance to peruse through the classic candy, vintage memorabilia, key chains, home goods and plenty of other knickknacks. 3. Fried, boiled or scrambled? Mom knows best about eggs. When it comes to the 160 million eggs it serves annually, Cracker Barrel can&apos;t say whether scrambled is more popular than fried, poached or boiled. "What we’ve always found, and I find so interesting as a chef, is however your mom cooked your eggs when you were growing up is typically how you like to eat them for the rest of your life," Cammie Spillyards-Schaefer, Cracker Barrel&apos;s Vice President of Culinary and Menu Strategy, told TODAY Food. 4. Its best-selling menu item is a casserole. 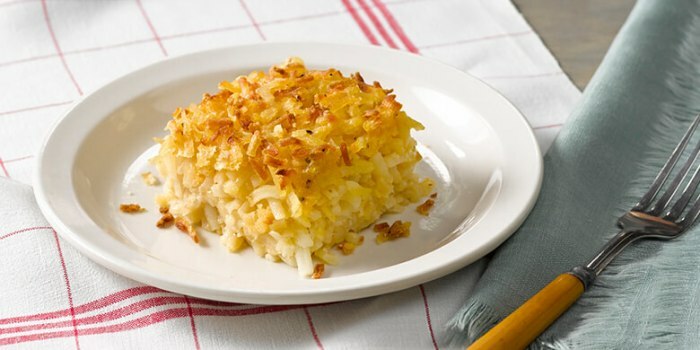 Americans evidently appreciate a good casserole because the hashbrown casserole, which comes as an entree or a side, is Cracker Barrel&apos;s top seller. On its healthier, Wholesome Fixin&apos;s menu, the most popular meal is the Good Morning Breakfast which comes with egg whites, turkey sausage, grilled tomatoes, grits and fresh fruit. 5. They make a crazy amount of biscuits every day. Cracker Barrel cooks its biscuits from scratch at each location. Said Spillyards-Schaefer, "We’re rolling, cutting and putting biscuits in the oven every 15-20 minutes, so they’re always coming out fresh." 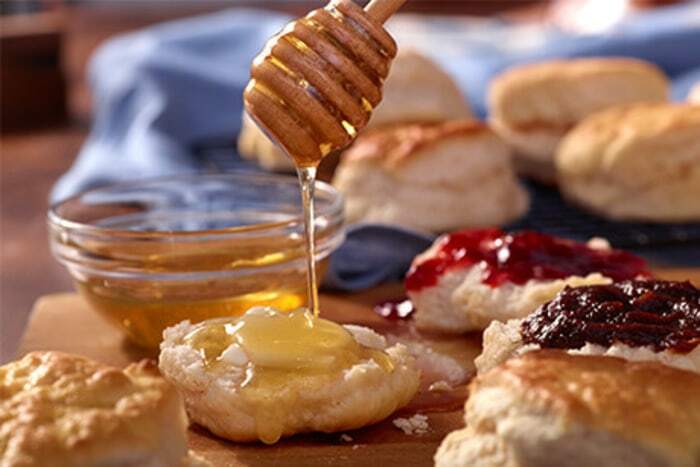 Guests consume more than 200 million biscuits annually. 6. About 90 percent of its ingredients come from the U.S.
Cracker Barrel sources most of its ingredients within the country. This includes produce like green beans, potatoes, sweet potatoes, carrots, beef, pork, Maine blueberries, apples from the Pacific Northwest and Vermont&apos;s finest maple syrup. What&apos;s not from the U.S.? Ingredients like shrimp, which Spillylards-Schaefer said is not available in large enough quantities domestically to support the chain&apos;s needs. 7. Cracker Barrel can help with your holiday entertaining. 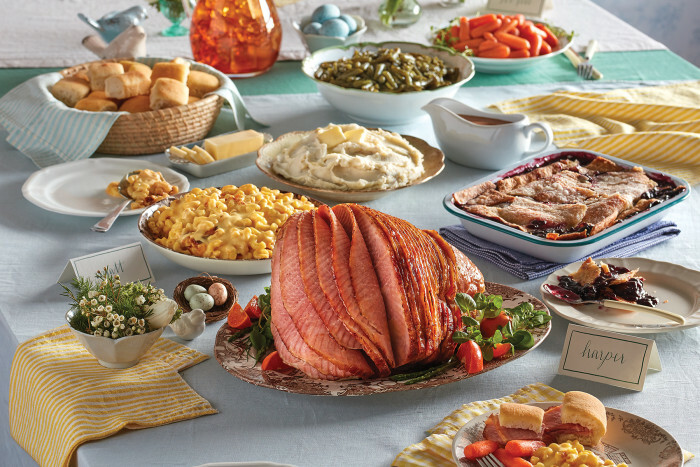 Move over, HoneyBaked Ham, Cracker Barrel wants to cater your next party. In 2016, the chain rolled out its first Heat n&apos; Serve holiday meals for Thanksgiving. They&apos;ve since expanded their offerings to include classic mains and sides for Christmas and Easter dinners, which come pre-packed and just need to be heated in an oven. And yes, you can order a mega-sized portion of their hashbrown casserole as a side. 8. Fans range from Miley Cyrus to diehard octogenarians. 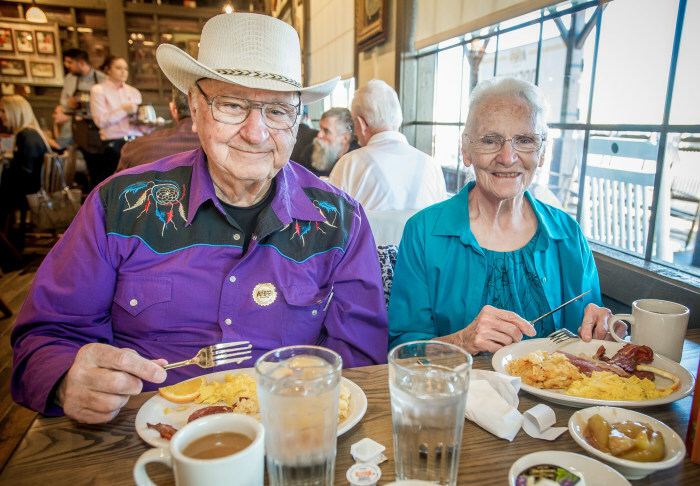 In August 2017, one retired couple determined to dine at every Cracker Barrel in the country achieved their lofty goal. But the Yoders, who have been dining at the restaurant for over 40 years, aren&apos;t the only well-known people who like to chow down on Southern-style comfort food. Younger fans include Taylor Swift, Miley Cyrus, Joe Keery and Kellie Pickler. Pickler even had her first date with husband Kyle Jacobs at a Cracker Barrel. For her birthday one year, Jacobs surprised the country singer with a pair of Cracker Barrel rockers. 9. It has a fast-casual sister restaurant for millennials. Cracker Barrel isn&apos;t just expanding into new territory like Oregon and California. It&apos;s also targeting millennials with a biscuit-based offshoot. 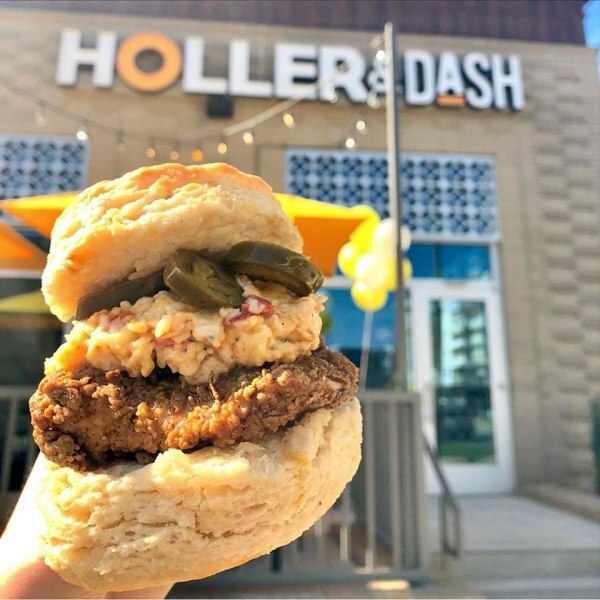 Holler & Dash, which has locations in five Southern states, is a fast-casual restaurant concept that features biscuit sandwiches with names like "Kickback Chicken" (a fried chicken sandwich with goat cheese and a sweet and spicy pepper jelly), "Hamabama" (country ham with spicy aioli, apple butter and — gasp! — kale) and "The Jam" (a dessert biscuit with Nutella and raspberry jam). Unlike Cracker Barrel, its younger counterpart doesn&apos;t have a general store, but instead looks like an industrial loft with exposed brick walls and lightbulbs in Mason jars.